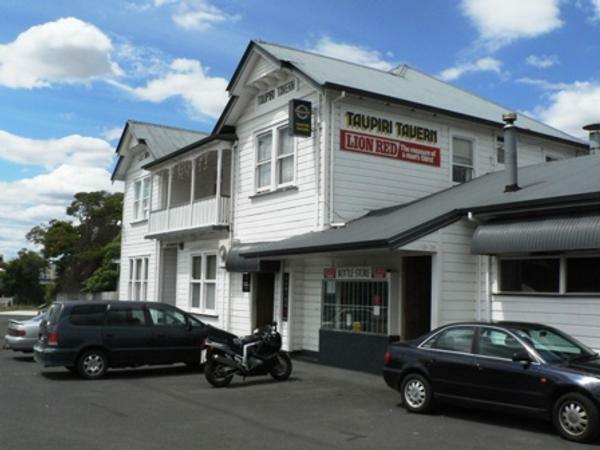 Taupiri Tavern is Heritage listed and built in 1911 - bursting with character; it is for sale as a Freehold Going Concern. The tavern attracts both locals and tourists to its restaurant and spacious Garden Bar where live bands are a feature. This iconic country pub at the heart of Taupiri Village life has been lovingly restored over 12 years by the current owner. He has even turned the old servants’ quarters into accommodation but now it’s time to move on and let new owners make their mark. With a floor area of approximately 750m2 this is a grand old lady of generous proportion. “It’s unbelievable the people that roll on through the door and they haven’t been here for 20 years or they drank here 25 to 30 years ago and they still call in.’’ says the owner. He goes on to say “we have a good relationship with the local rugby club, of which the tavern is a major sponsor. All the boys come back here after their home games and after training.’’ A lot of locals have their 21st birthdays at the pub, a lot of unveilings and tangi, and even a few wedding receptions. “It’s their pub as much as its mine. I look at it like I’m only the caretaker before someone else takes over; it’s the people’s pub.’’ says the current owner. Tom Crawford of Tourismproperties.com the broker marketing the property said “This is a large property so there are walk-in chill rooms and various storage areas throughout the property and ample parking. The refurbishment to date has been sympathetic to the era there is original kauri timber throughout but it’s not too late to make your mark on this charming property if you buy now”. Crawford goes onto say “An extra benefit to the purchaser – included in the sale is an additional section partly bush covered sloping to a river boundary. This offers several options to generate additional revenue and is just across the road from the hotel”. The total land area on two titles is 3,697m2 more or less.